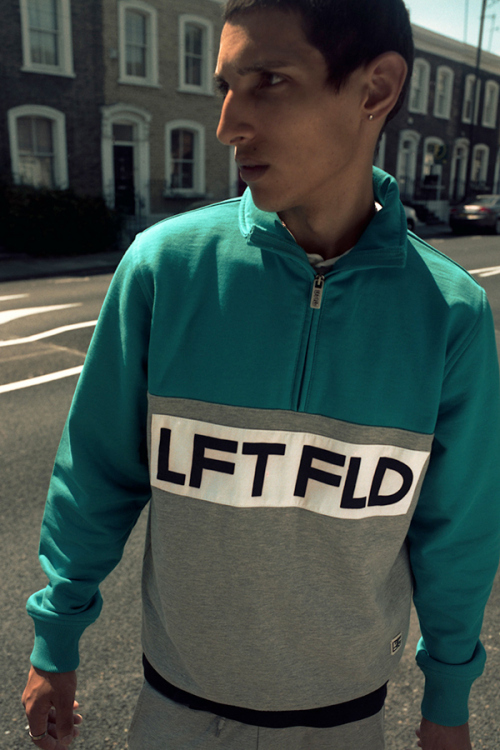 LFT FLD is a streetwear brand created by two master minds, Gareth Skewis; owner of the oldest skate shop in Europe that is Slam City Skates and has partnership into the notorious skate brand Palace Skateboards. The other mastermind is, Paul Ruffles; the managing director of the two infamous outlets Size? and Footpatrol. 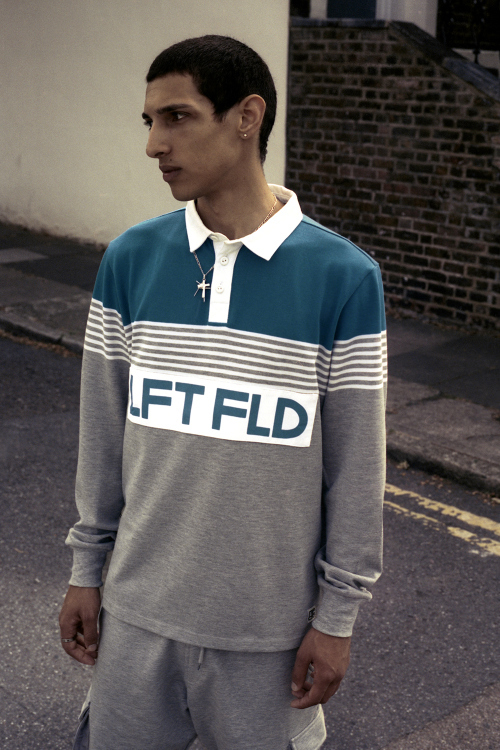 As you can imagine there are a lot of ideas and influences going to be put forward into growing the brand that is LFT FLD. 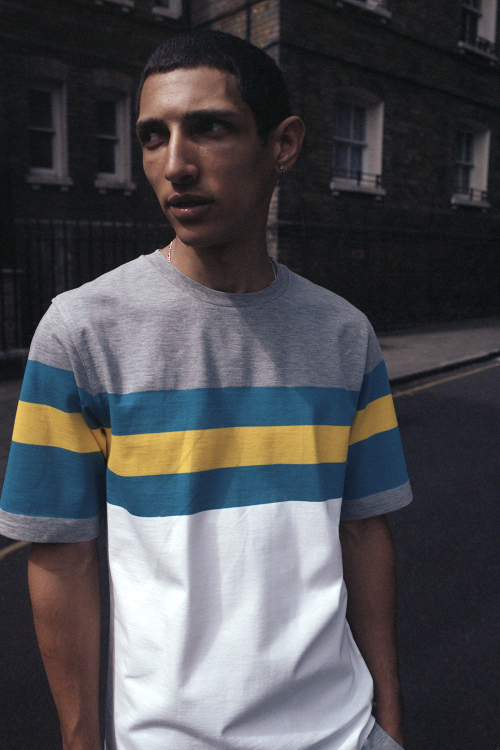 The collection is inspired by ’90s sportswear and culture of the time, which is a on trend at the minute. To help design the collections for LFT FLD is, Fergus Purcell, the guy behind all of the infamous Palace Skateboards graphics and who helped push the brand’s identity. 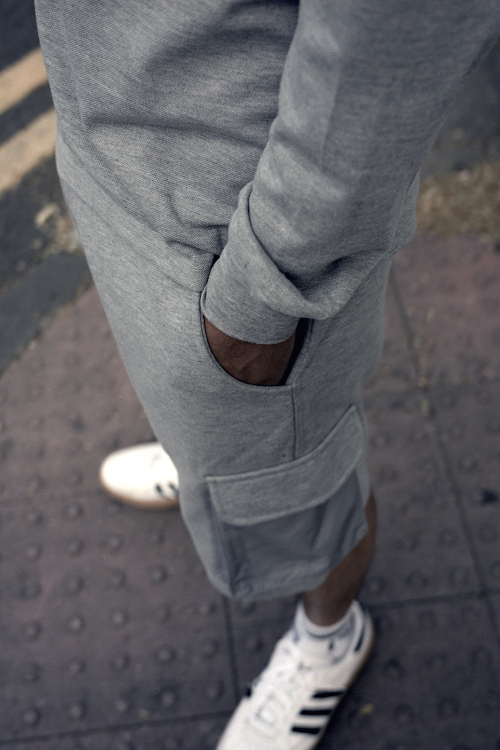 You can see Purcell’s similar concepts and ideas on LFT FLD’s Fall/Winter 2015 collections. 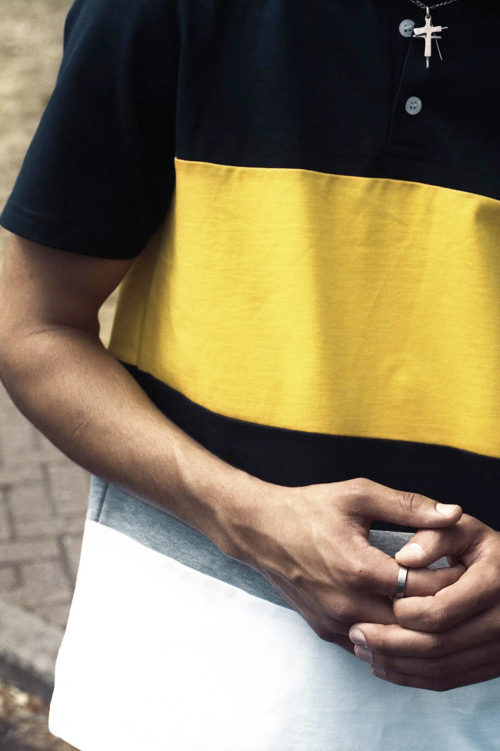 Retro styles with dark colour palettes and the odd bold colour thrown into the mix of two-tone styles. 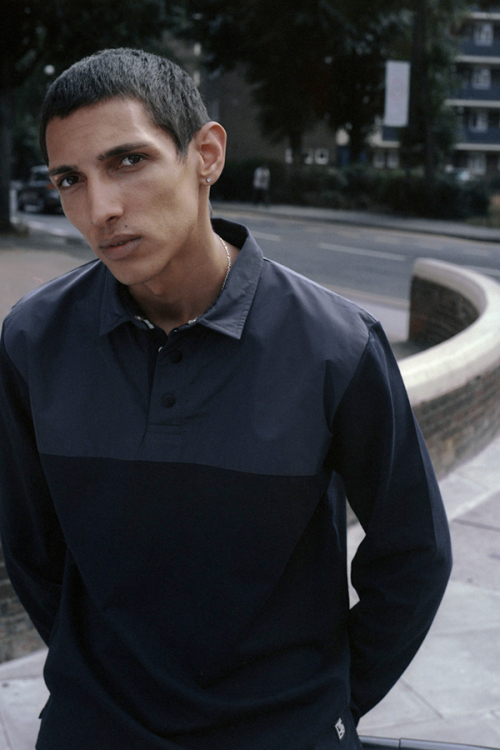 The collection includes polo shirts and cargo shorts, alongside long and short-sleeved T-shirts. LFT FLD, bringing the past back to the present and moving on to the future.